The 2018 Beijing Summit of the Forum on China-Africa Cooperation (FOCAC) will be held in Beijing on September 3 and 4 under the theme “China and Africa: Toward an even stronger community with a shared future through win-win co-operation”. Chinese President Xi Jinping will chair the summit and host relevant events. Leaders of the FOCAC African members will attend the summit upon invitation, and representatives of relevant regional organizations in Africa and international organizations will also participate in related activities. So how to understand China-Africa relations? What can be done to deepen mutual beneficial cooperation? China Focus interviews people from 10 African countries, revealing the truths of China-Africa relations. 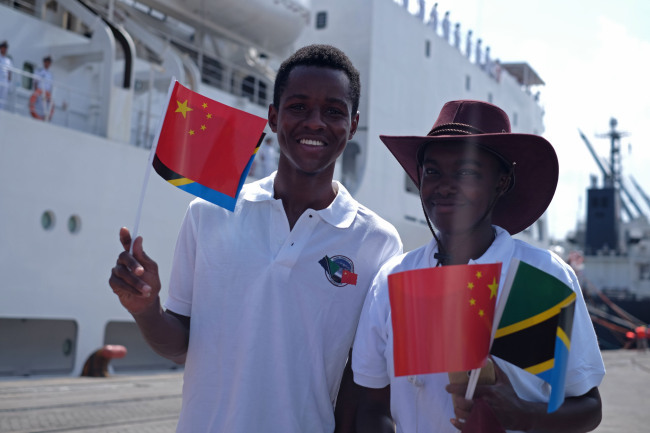 China Focus: Are there many Chinese people in Tanzania? Susan P. Mlawi: There are lots of Chinese people. Actually, they are present in all areas of business. They have set up shops, we have them in the media, we have them in various industries — oil industry, construction industry, etc. We have a lot of Chinese in Tanzania. Not only in Dar es Salaam, even when you go to the outlying regions of Tanzania, you will find Chinese people everywhere. China Focus: What’s your impression about Chinese people here? Susan P. Mlawi: Chinese people are very similar to Africans. They are not complicated people. They can live anywhere and lead a very simple life. Tanzanians are very friendly people and so are the Chinese who have come to Tanzania. They are very hard working – very, very hard working. We can see this when the Chinese government built the railway from Tanzania to Zambia. It took a very short time and most of the construction work was done by Chinese people. China Focus: Have these construction projects made people’s lives better? What do the people of Tanzania think about these projects? Susan P. Mlawi: They have constructed roads and buildings. We have a stadium – a football stadium in Dar es Salaam. This was built by a Chinese company. To date, we still have Chinese expats all over, who are assisting with the technologies that have been implemented. They have also built numerous roads within the country and they are still working on projects. They have constructed buildings, as well. We have a conference center in Dar es salaam. It is one of the best real estate projects, an exceptional art conference center that was built by the Chinese – actually – built using a grant from the Chinese government. Tanzanians are people who don’t necessarily speak out, but they are appreciative and thankful. We have had very good relations with China for a long time, from the time we gained independence. China Focus: Companies such as TV show companies, can help introduce Tanzania’s TV shows to China. Are there any such companies now? Susan P. Mlawi: We have a lot of actors, actresses, and we also make films. The film industry is coming up really fast and we are now working using a lot more technology. So now, we have scripted shows and films where the actors and actresses act based on the script. I believe we have some very good stories of Tanzanian culture and behavior that can be made into movies and films and translated as well. So, I believe the Chinese can do the same and translate these movies that are in Swahili into Chinese, so that Chinese people can also see what is happening in Tanzania. 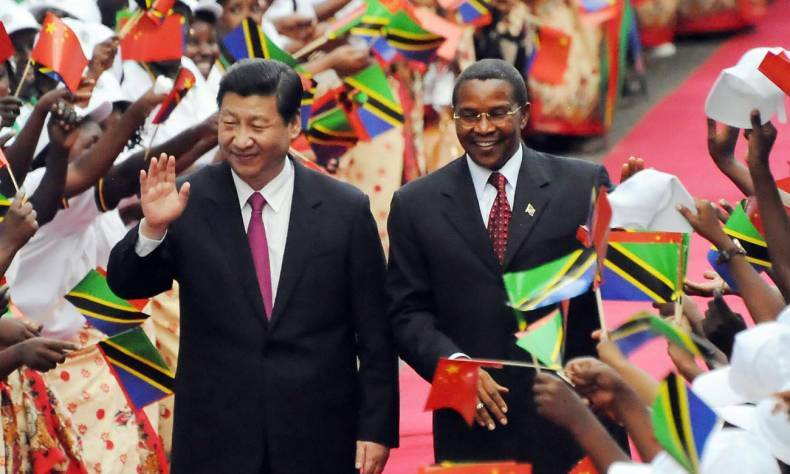 China Focus: What words would you use to describe the relationship between China and Tanzania? 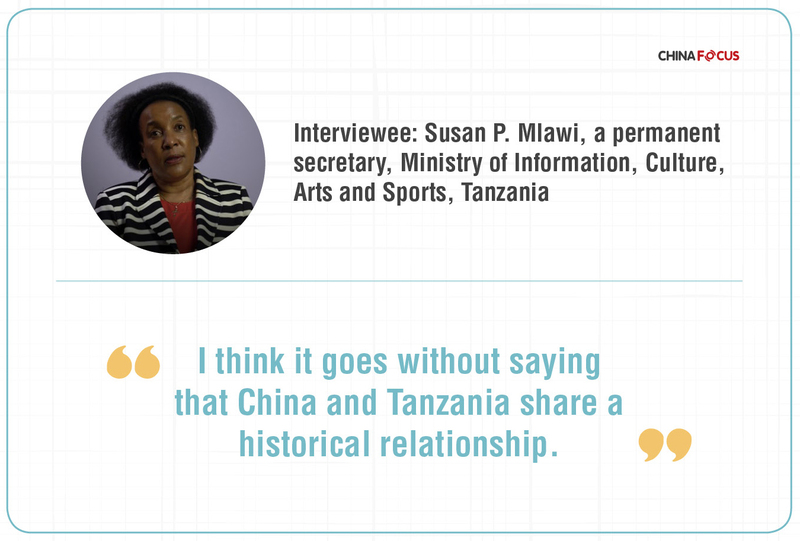 Susan P. Mlawi: I think it goes without saying that China and Tanzania share a historical relationship. If I am walking on the streets of China, and I say, “I’m from Tanzania”, the local people say, “Ah, okay.” They know about Tanzania. Tanzania is not something new to them. It’s very different when I go to other countries, and I say, “I’m from Tanzania”, the people there say, “Is it Tasmania?”, then I say, “No.” When I say, “Do you know Nyerere?” – he was our first President, they haven’t got a clue. But when I say, “East Africa”, they then realize and say “Ah okay. Near Nairobi?” So that is why we are really branding Tanzania. But when you come to countries like China, people know about Tanzania. China Focus: Some Western media says China is colonizing African countries such as Tanzania by helping them build railways or other infrastructure. What’s your take on this? Susan P. Mlawi: As I said before, China and Tanzania share a long history, right from the era of Nyerere. You know, we talk about things that are tangible that the Chinese government has done, like the grants it has provided free of charge. It’s not a loan. We can clearly see this, and stuff like infrastructure development such as the railways. We also have a cotton yarn industry in Dar es Salaam. It’s called, Rafiki Textiles. It was developed by the Chinese. Then of course, there is the National Stadium and the conference center in Dar es Salaam. We have been cooperating for a long time, and China has assisted Tanzania in several areas.